A “large” egg is 2 oz making a dozen 1 lb 8 oz. Our chickens turn out some really large eggs, some over 3-1/2 oz. 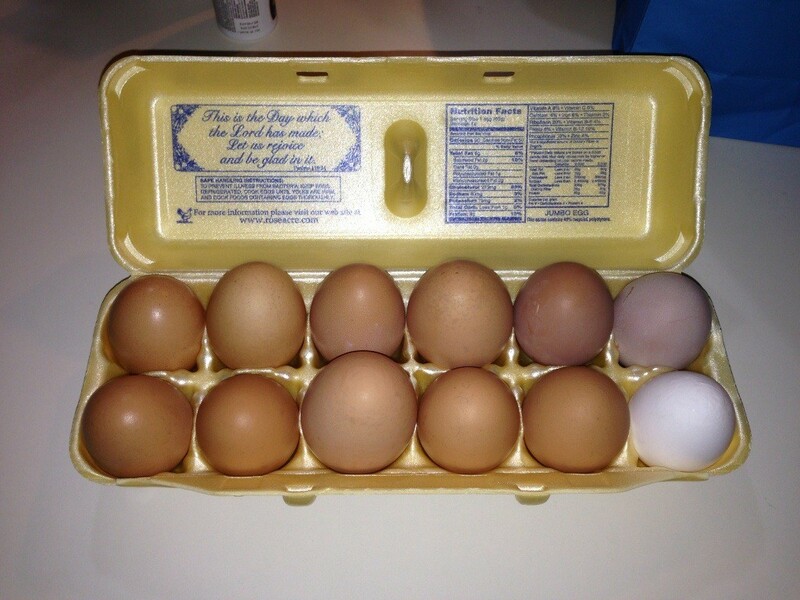 The dozen below is 2 lb 3 oz, so the eggs average almost 3 oz, or “half again as much” as a standard large egg.